Ground from the seeds of a mustard plant, mustard is one of America’s favorite condiments. Food lovers can celebrate this versatile topping on National Mustard Day on August 3. The National Mustard Museum was the originator of the holiday, and celebrates the day every first Saturday in August. Guests who visit the museum on the special day can take part in a wide variety of games and even try a free hot dog and mustard sampling. Of course, you don’t have to go to the museum to have fun! Be sure to try out as many mustards as possible: the standard yellow American style, French mustard, Bavarian sweet mustard, and the tangy beer mustard! A National Hot Dog & Sausage Council survey found that 71% people mustard is their top hot dog condiment. It’s a staple at baseball games and other sporting events, always on hand to supplement the concession stand food. It’s the perfect garnish for a tasty treat—just make sure you pick up an extra napkin so you don’t spill any on your shirt! Many studies have found that the elements found in mustard seeds can stop cancer cell growth. It’s often used as a remedy for muscle pains and certain types of skin disorders. Mustard seeds come with high levels of calcium, magnesium, and potassium. 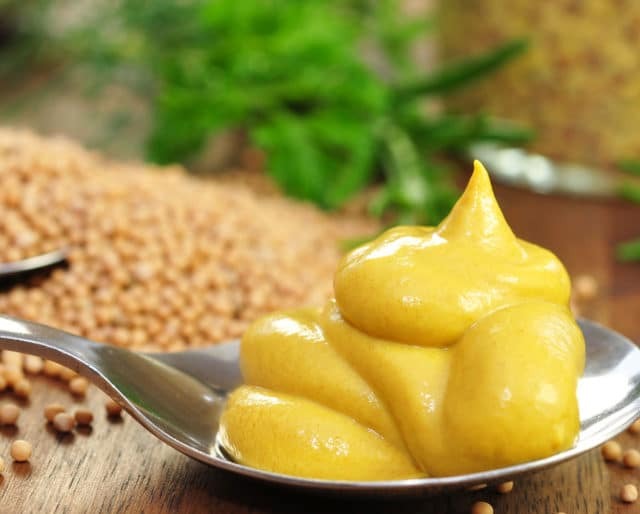 Mustard is also a low-calorie, low-sugar alternative to other condiments, and makes a great addition to some of your favorite foods. Mustard isn’t just for hot dogs. With all the varieties, it’s the condiment for creatives: if you can dream it, you can achieve it. Try out a breakfast casserole infused with honey Dijon. Bake up some mustard-roasted potatoes. Glaze a ham with honey mustard. If you can’t let go of your traditional roots, have a Chicago-style hot dog: yellow mustard, chopped onions, relish, a pickle spear, and tomato slices. Located in Middleton, Wisconsin, the National Mustard Museum welcomes mustard lovers from near and far to celebrate the yellow condiment, and is the birthplace of National Mustard Day. Started by Barry Levenson in 1992, the museum is home to nearly 6,000 different types of mustards from all over the world. The museum is open seven days a week and is free! Stop by to see the Great Wall of Mustard, an antique collection of mustard pots, and try out a free mustard tasting. Serve up pretzel rods, hot dog bites, and pita bread for guests to test out as many types of mustard as possible. Hit up your local store to buy out their mustard varieties. You should even try out a local artisan market to see if you can pick up additional, hard-to-find mustards. Place the different kinds in small serving dishes, and let everyone try out all the combinations of snacks and toppings. Who says that French’s and Grey Poupon should have the monopoly on good mustard? Try out your own recipe on National Mustard Day. Soak mustard seeds for a full day in your liquid of choice: vinegar, water, wine, or even beer. Then ground up the seeds in a food processor. Make the mustard to your liking by adding your favorite flavors, like brown sugar, honey, or tarragon.